On behalf of the entire Speedlink team, I wish you, the management and the whole Nacex team a Merry Christmas and a very happy New Year. Thanks for the perfect cooperation we had this year again. Cheers on a prosperous New Year 2016 !! on behalf of the entire Nacex family, we wish you a very succesful 2016 where we look forward to another year of great collaboration. 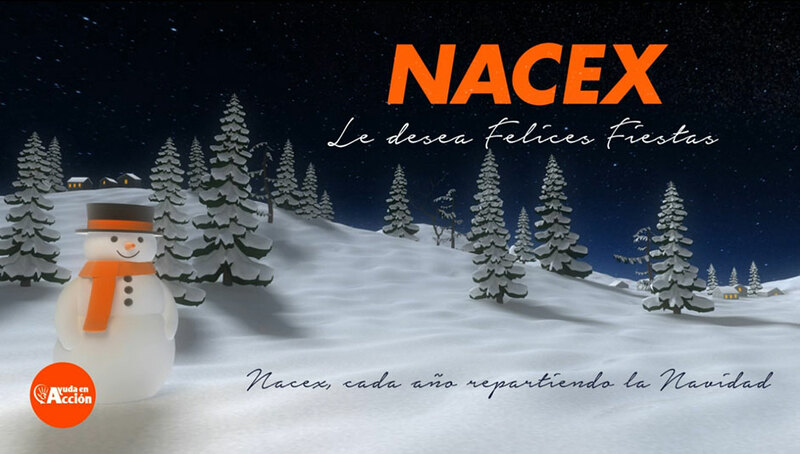 Feliz Navidad Nacex, a todo vuestro equipo y vuestras franquicias. Tenemos una tienda online propia y estamos encantados con el servicio que nos dais, por eso se lo recomendamos a todos nuestros amigos y clientes. Muchas gracias Beatriz! Gracias por tus comentarios y recomendaciones. ¡Felices Fiestas y los mejores éxitos para 2016!